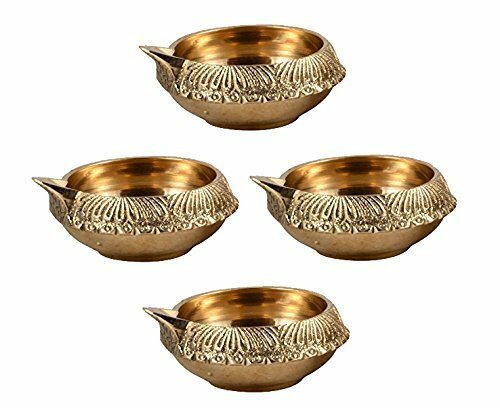 Kuber Deep(Diya) for Diwali Decoration and Diwali Pooja Prayer;Made of Brass, Size:- 2.5 Inches;A Unique Decoration For The Home Brass metal art oil lamp for puja offering;This Diwali illuminate your home with our oil lamps, its pure bestowal, complete altruism, and unconditional love. ;It is known to bring Good Luck, Prosperity and Wealth. If you have any questions about this product by FIGO, contact us by completing and submitting the form below. If you are looking for a specif part number, please include it with your message.